The managers of two charitable thrift stores on Merivale Road have had it with the thief who keeps rummaging through their donation bins and stealing countless items. Bethany Breault, manager of the Mission Thrift Store, said overnight visitors have been a constant problem for the past two years, but that security footage points to one particularly active individual. "We started seeing the same man," said Breault. "We have four, five people who like to steal, but it's really the main person who comes every night." 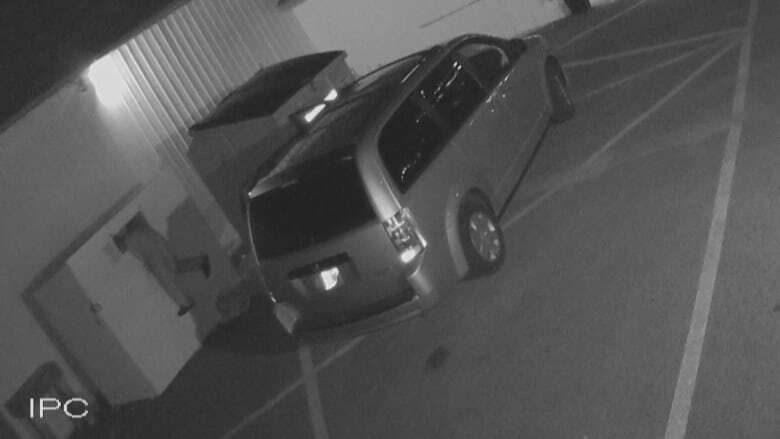 Many of the incidents captured by the store's outdoor surveillance camera show the driver of a silver Dodge minivan pull up alongside the donation bin in the store's front parking lot. He often rummages through the items that were too big to fit inside the bin, such as furniture. "The good stuff is gone and the bad stuff is left strewn in the parking lot," Breault said. "And if he has bad stuff in his car that he's picked up from one of the other thrift stores, that gets left here as well." In one incident captured July 31, 2017, the suspect inserts his head and torso into the bin to see what's inside. Breault said it's impossible to accurately assess how much the thieves are leaving with, since the items are donated while the store is closed. "We don't know how much is gone missing. We've seen footage of him driving away with mattresses on the car, with some very nice-looking children's toys and furniture," Breault said. "You're stealing from the poorest of the poor. All of our money goes out around the world to build schools, to educate women and children, to build hope for people. You're stealing for your own gain." It would appear the same suspect is making overnight visits to donations bins about a kilometre away, outside the Saint Vincent de Paul thrift store on Merivale. That store's intake manager, Scott Morrison, said he's filed two police reports about someone driving the same silver Dodge minivan and stealing from his bins. The first report was filed in July 2017, and the second two weeks ago. "I'd like to see these guys caught, because what they're doing is hurting the community. If we don't have the donations, then we can't help people," Morrison said. "Right now we don't have much furniture to give out. It's heartbreaking." Despite providing Ottawa police with the minivan's licence plate number, Morrison said he hasn't heard back from investigators on whether they've been able to track down the suspect. Making matters worse is the added cost to repair the donation bins. "They'll shove their arms down into the bins and basically break our bins that we're paying quite a lot of money for," he said. In an email, Ottawa police spokesperson Const. Chuck Benoit said police have received complaints over the past year about night thefts in donation bins, and that "investigators have closed some of the files due to lack of evidence or poor quality of video (not being able to identify any person of interest). "There are some complaints that are still being looked into but no results yet," Benoit added.